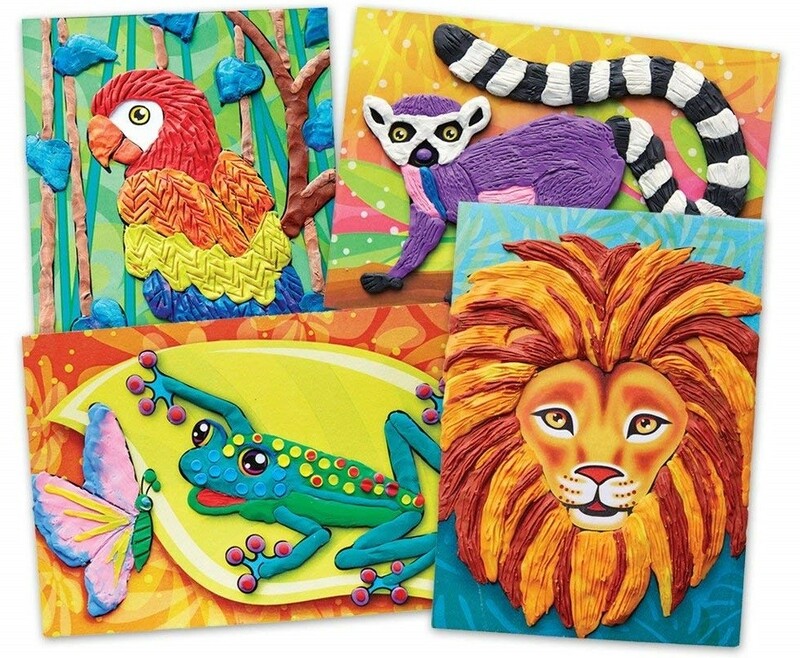 Create vibrant jungle themed art with modeling clay. 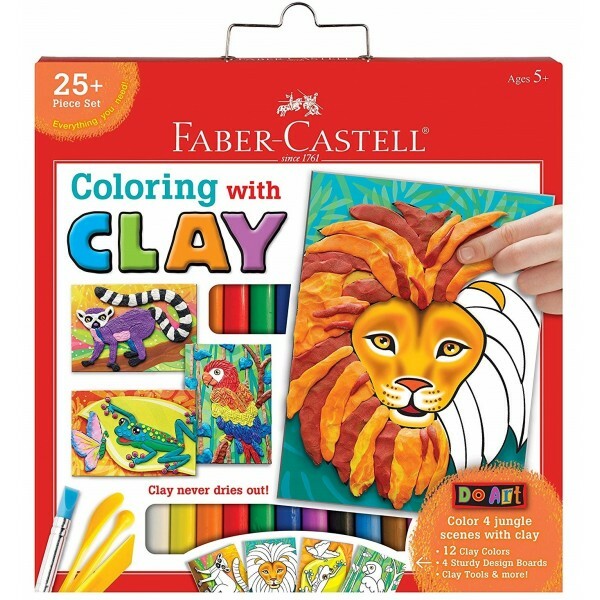 Do Art Coloring with Clay from Faber-Castell is the perfect art set for kids who love to work with their hands! This complete art set comes with everything you need to color in 4 animal themed design boards and make them pop with texture and depth. Coloring with modeling clay is the perfect art project for kids to improve their fine motor skills and inspire their creativity. 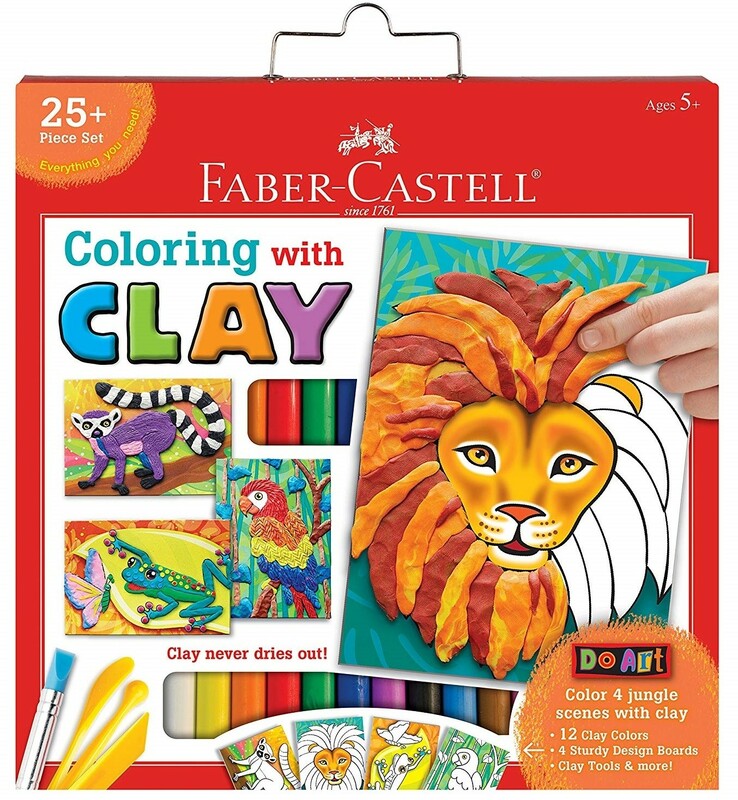 This 25 piece set includes 12 vibrant sticks of easy-to-mold clay, 4 fun color-in animal designs, a special rubber tip blending tool, 3 double sided clay tools, and easel backs to display your work. All materials are non-toxic and kid-friendly; the modeling clay featured in this art kit is gluten-free, never dries out, and will not stain your hands.